Trevecca Nazarene University’s School of Graduate and Continuing Studies (SGCS) will begin offering classes in the greater Atlanta area in the fall of 2018. Classes will be offered in two locations, one in Duluth and another in College Park. 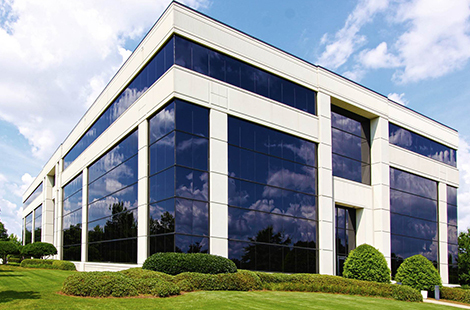 The Duluth location, 3575 Koger Blvd., will serve Gwinnett County and the north Atlanta region, while the College Park site, 1800 Phoenix Blvd., will serve Clayton County and south Atlanta. It is an exciting moment for the University, which has experienced dynamic growth in recent years, particularly among SGCS students. The number of students enrolled in SGCS degree programs has increased 47 percent in three years. Total enrollment at the University, which offers traditional undergraduate degrees as well as adult, graduate and online programs, has increased 50 percent from fall 2013 to fall 2017. Trevecca began exploring the possibility of offering classes in the Atlanta area more than two years ago. Trevecca alumnus and Gwinnett County native Michael Runyan was instrumental in helping the University to locate property. For more than 30 years, Trevecca has offered degree programs at off-campus satellite locations, all designed to meet students where they live. In Atlanta, classes will take place on evenings and weekends and include associate, bachelor’s, degree-completion and graduate offerings. Doctorate of Education (Ed.D.) in leadership and professional practice. In addition, Trevecca currently offers 17 fully online degree programs that are available to Georgia residents. If you're interested in enrolling with Trevecca in Atlanta, contact Dr. Shawn Thomas, region dean of Georgia. Trevecca Nazarene University is a Christian university in the heart of Nashville focused on preparing students for lives of leadership and service. Founded in 1901, Trevecca is committed to holistic education, encouraging students to grow intellectually, socially, emotionally, physically and spiritually. Located approximately one mile from thriving downtown Nashville, Trevecca provides a liberal arts education while guiding students to find God’s calling on their lives through traditional undergraduate programs, continuing and graduate studies and online offerings. With students from 44 states and 22 countries, Trevecca offers 15 associate degrees, 83 undergraduate majors, 20 master’s programs, and two doctoral programs, as well as specialist and certificate programs.